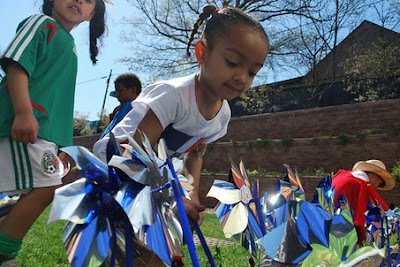 Idaho State Journal reports that the Pinwheels for Prevention campaign is a national movement trying to bring the issue of child abuse prevention to the public attention. A dozen Girls Scouts recently braved a rain and hail storm to plant a garden of pinwheels at the Bright Tomorrows Child Advocacy Center’s Tuscany House in Pocatello. They planted the garden to support the nationwide Pinwheels for Prevention campaign during April, which is Child Abuse Prevention Month. Over 3 million reports of child abuse are made every year in the United States; however, those reports can include multiple children. In 2007, approximately 5.8 million children were involved in an estimated 3.2 million child abuse reports and allegations. Shout out to Girl Scout Troop #423 in Pocatello, ID, for raising awareness!